Especially the early cars have been equipped with incorrect flanges. When taken out of the wheel bearing, you can see that only a small portion of the flange actually touches the bearing, so the flange will wear out the wheelbearing in no time! These are the original flanges as they should have been. 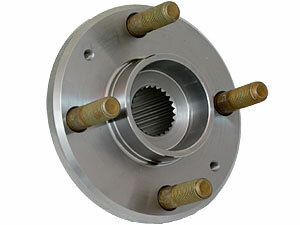 Made from one of the strongest kinds of steel, these will help you stopping any flange problems!